The raccoon is often recognized by its black mask and tail covered by white rings. Adult raccoons may be up to 3 feet long and weigh up to 30 pounds, although some male raccoons can weigh up to 40 pounds! Raccoons have a whitish gray coat, sometimes yellowish with black patches of fur. This fur is long and dense, a grizzled brown and black color that has often been described as "salt and pepper." The tail can grow to be fifteen inches. A tail can have five to seven black rings on it. Raccoons look like they have a bandit mask on their face. Although, raccoons are flesh eaters and have long canine teeth, their molar teeth are adapted for a varied diet which includes more than just meat. Raccoons are considered scavengers and often rummage through trash barrels and dumpsters to find food. Raccoons are also nocturnal animals so they become highly active at night often sighted on homeowners decks and porches in search for that next meal. As you can tell we enjoy the raccoon and its distinctive features, so much so that we have incorporated it into our logo. Buts its not just its distinctive physical characteristics that we admire, its their uncanny ability to invade secured attic vents, travel up and down open chimneys, and the creativity of which they use to survive in our ever expanding communities. 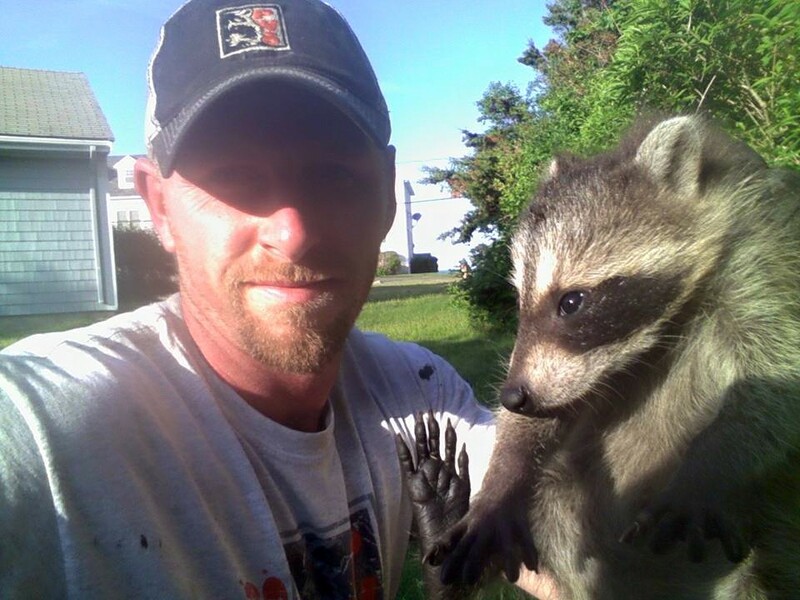 Raccoons often den in the spring in preparation of their young and they normally do so in attics and chimneys. Chimneys are a safe haven because most predators of the juvenile raccoons cannot access the den allowing the raccoons to grow to a point of self survival. On a daily basis in the spring we do remove these raccoons from their den because of the hazards they can bring to homeowners. 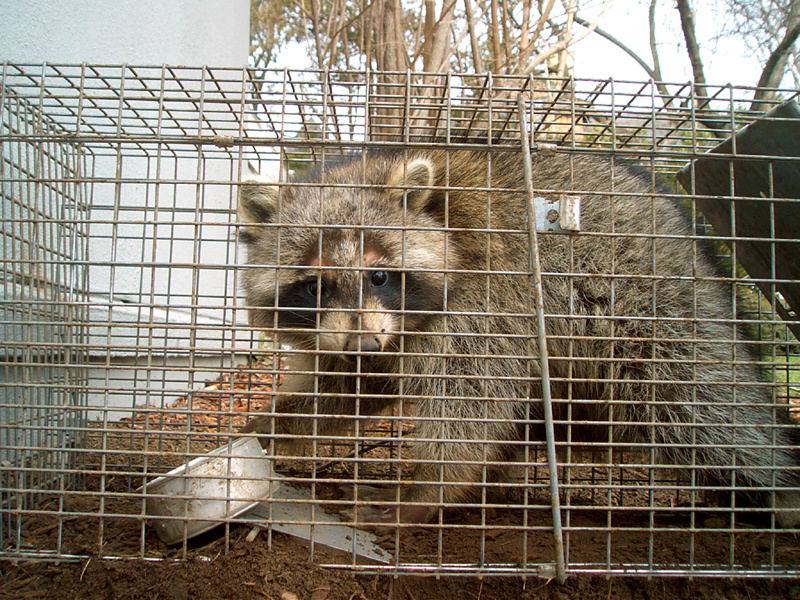 Raccoons can carry diseases such as rabies and distemper and often defecate in sections of their den which can contain round worm. 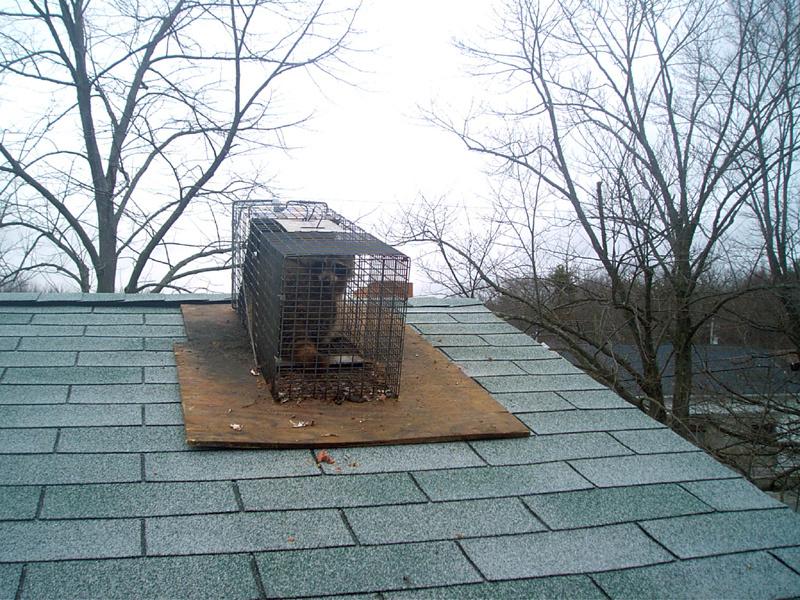 They also can destroy attic insulation which they use for nesting material, raccoons don't understand the soaring costs of energy nor the expense of an attic restoration service. Prevention is always the best policy when it comes to dealing with nuisance wildlife. Proper repairs to a home, maintenance plans, and inspectional services are just a part of what might help you never have to deal with a nuisance animal problem. Wondering how to get rid of raccoons? There is no magic spray or device that you can use to make them go away. Some people try to sell predator urine, such as coyote or fox urine to get rid of raccoons, but that doesn't work. They also try to sell ultrasonic sound emitters. These devices are worthless at eliminating raccoons. Some old wives' tales recommend the use of mothballs or ammonia-soaked rags to make them leave, but I've been to countless homes where these techniques failed - biologists know that these attempts won't work. 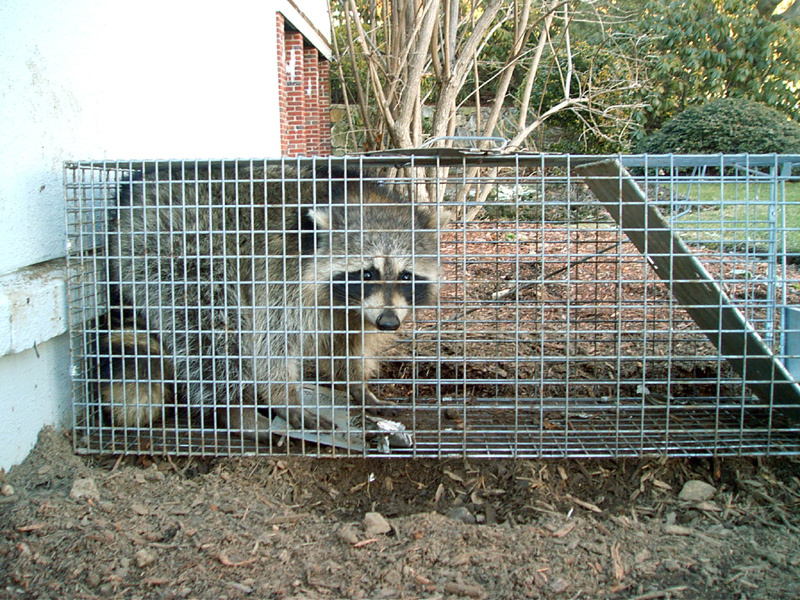 The ONE AND ONLY WAY to take care of your problem is with trapping and removal of the animals.